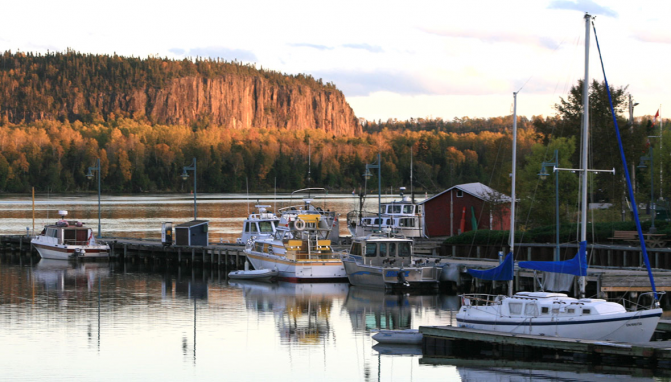 On the Natural Edge of spectacular Lake Superior you’ll find the picturesque town of Nipigon. Nipigon is a 1-hour drive east of Thunder Bay, Ontario. Full of small-town charm, history, and outdoor adventures, Nipigon is a highlight upon the north shore of Lake Superior. These are just 6 of the many reasons to visit Nipigon. The Nipigon Marina is on the shore of the Nipigon River that feeds into Lake Superior. The Nipigon River is the northernmost freshwater point of Lake Superior. Boaters are invited to cross the 49th parallel and receive a certificate to commemorate the achievement. The Marina is fully serviced and offers overnight RV and tent camping at the Natural Edge Eco-Park. The Eco-Park provides a unique camping experience where you can tent in the trees at North America’s first Tentsile Experience Camp. Launch your boat from the Marina and set sail for some fishing of a lifetime. The Nipigon River is home to the world record Brook Trout, caught in 1915. 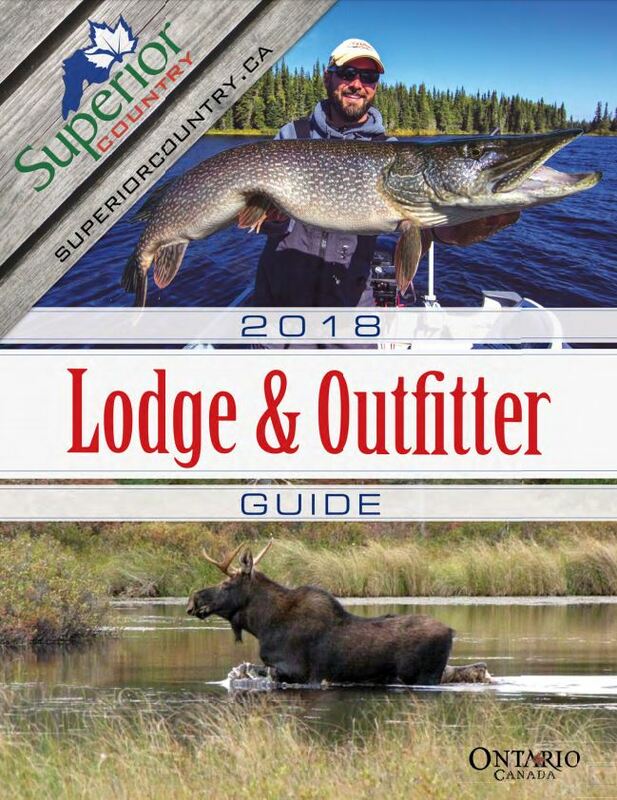 Besides Brook Trout, there are an abundance of species available in the Nipigon River including Lake Trout, Rainbow Trout, Northern Pike, and Salmon. With such a plentiful population of fish, your fishing trip is sure to be an epic one! 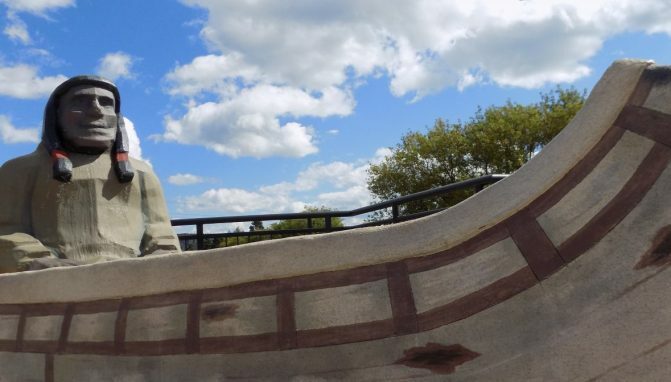 The Paddle to the Sea Park is based on the classic book and film of the carved man in a canoe’s journey to the Atlantic Ocean, beginning in the Nipigon River through the Great Lakes. This interactive park begins at the “Lake Superior waterfall” in the heart of downtown Nipigon. Here you’ll see Paddle himself at the top of the waterfall with steps leading up to visit him. Enjoy the Splash Pad and children’s park, a perfect spot for families to come and cool off on a hot summer day. Follow the story through town to twelve playground stations with the Nipigon Marina being your final destination. The new Bridgeview Lookout Tower provides a unique perspective to truly experience the town’s Natural Edge. 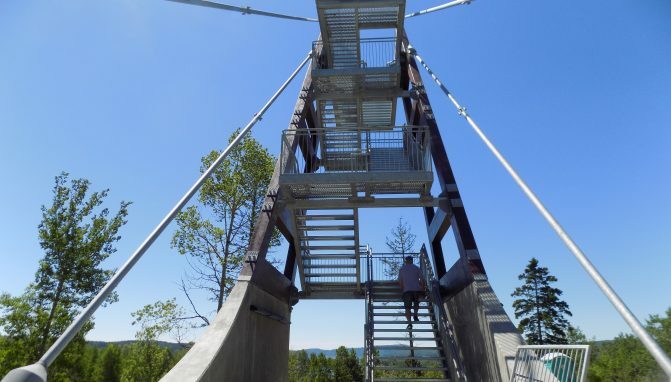 Directly off Highway 11/17, this 40 foot high lookout is the perfect stop for tourists and locals to observe impressive panoramic views of the Nipigon River, the Nipigon River Bridge and Lake Helen all at once. 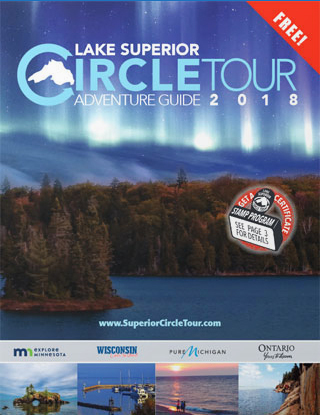 This experience will be sure to entice you to further explore Nipigon’s small-town charm, history, and outdoor adventures. 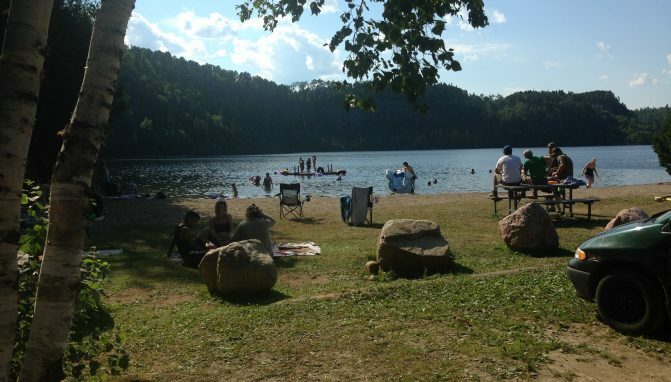 Lofquist Lake is a 5-minute drive off Highway 11/17 down Cameron Falls Road. This hidden gem offers a relaxing, secluded beach to unwind on a summer day. There are newly renovated changing rooms, a play area with a swing set and a floating dock, making it an ideal stop for families looking for a fun afternoon in the sun. This spring fed lake is a refreshing escape from the hustle and bustle of daily life. 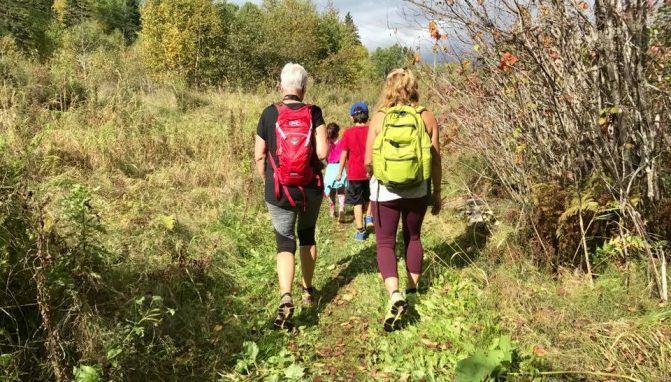 An excellent way to learn Nipigon’s history is through the Historic Walking Tour. Take a stroll through time and learn the tales the old buildings have to tell. There are 30 sites throughout the town with plaques describing each of the locations that helped build Nipigon and the North Shore. These are the places where history truly lives. The Nipigon Museum displays artifacts exhibiting a period before European contact to modern time. 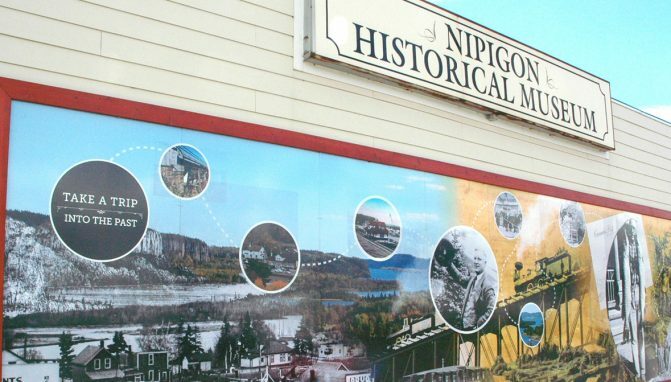 Be swept into a time gone by through a number of displays and literature showcasing Nipigon’s rich history. From the fur trade to the development of the forestry industry. Also featured, is a display of the world record brook trout caught on the Nipigon River. The museum isn’t just an educational experience, it’s a demonstration of the importance of recording our history, and gives visitors an opportunity to understand the heritage of our community. Depicted in three different building murals, by the renowned artist Dan Sawatzky, are paintings that brilliantly showcase Nipigon’s past. One mural is of the old Nipigon CP Railway Station 1929-1982, one depicts Zechner’s Clothier 1937, and the other reveals a log driver along the Nipigon River. With so much to see and explore, your stop in Nipigon will be one that you will remember for a lifetime. Experience the Natural Edge, experience Nipigon.